We are always looking for great “men” driven product while out at these shows, and while I would say the designs from BearFace can definitely be defined as unisex, I would say that any guy out there would have been drawn to this makers wares. 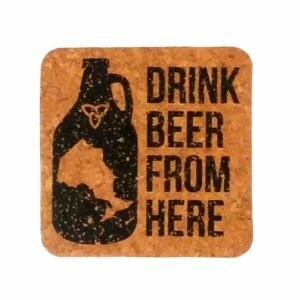 From the beer themed glassware, to cork coasters and graphic Ts, I thought of a number of guys in my life who would’ve loved them all. The design work on the T’s, enamel pins, and bar ware are right on trend. Clean colour choices and something for everyone! What we also love of course is that he has chosen to use T-shirts that are made and sourced in North America, woo! Check out the full collection from BearFace Design / BRFC by Jon Johnson on his Etsy Shop.